Hi everyone I'm Jack Red, I already reviewed Dead Rising 3 on an video. But I ended up getting it's last dlc very recently. Almost being two years after it's release during that year's E3. I remember getting excited really wanted to play it at the time. This is an great homage to one of the best gaming developers. This was made to celebrate Capcom's thirty one years & one of the world longest gaming developers in history. They are legendary in their craft with some of the best video games. No game company has been as close as driven as Capcom. I got to be honest this turned out to be one of the best dlcs I ever played. I already knew I was going to be blown away by it's sheer awesomeness. 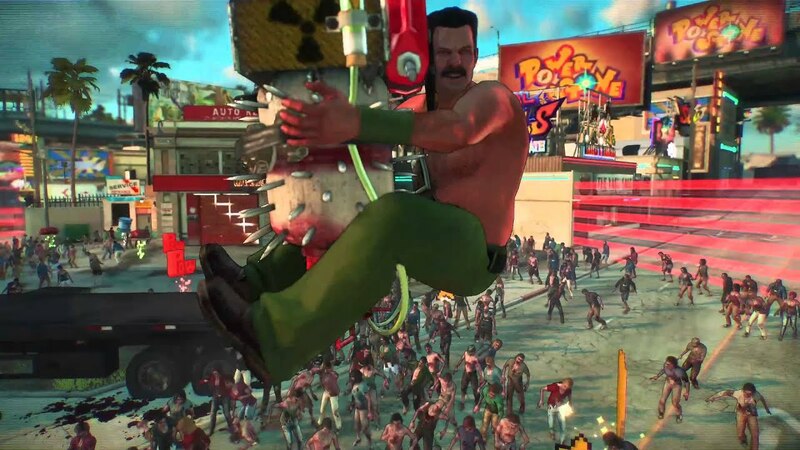 No one thought Capcom really put everything that's them in one amazing mini game in Dead Rising 3. The Dead Rising team went really far to represent as much Capcom franchises as they possibly could. You can play as four Dead Rising characters. All hidden characters are those four wearing & acts just like those characters. Most of which are classic Capcom characters that spice the game up. This plays like an arcade beat em up with great variety kinda similar to Sega's Alien Storm in that area. You can keep continuing as long you have enough money. There's a lot of power ups with creative level designs. With the possible exception of Shadow Boss, most bosses were too cheap for my taste. They made it very fun from start to finish. I couldn't stop trying to unlock every character in the last few days. In comparison to the Untold Stories, this blew all four of them away. You can play with three other players online. Just like those dlcs, this too adds several more achievements making this over an hundred. Officially I got an hundred & ten achievements in Dead Rising 3. Every character does have their strengths & weaknesses. Personally Sigma surprisingly ended up being my favorite character. A lot of great Capcom songs with most from Street Fighter series. This alone made an very good game to one of the absolute best I ever played. Honestly folks it is really that good. Your worst enemies are the final boss & time itself. Once you get timed out except for bonus rounds. Your game ends making you have to start over. Otherwise this is very good classic arcade inspired action. My personal rating for this dlc would be 9.5 out of 10.